Snap to it and try Snap 3! 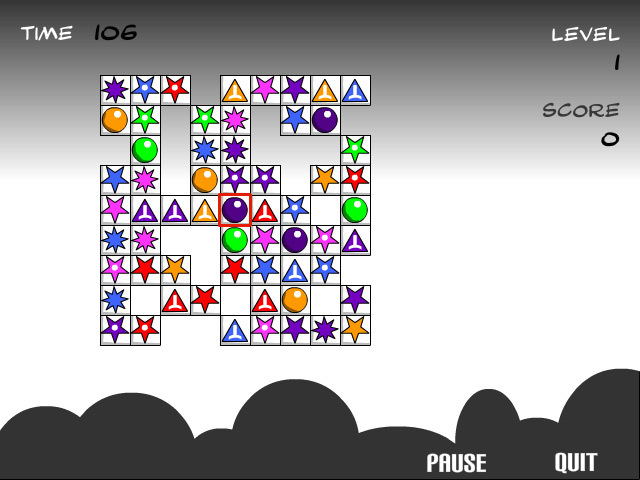 Clear the board before time runs out by clicking on 3 identical shapes in this eye-popping puzzle game.Snap to it! Clear the board by threes.Match-3 is yesterday`s game. Snap 3 is the way of the future! 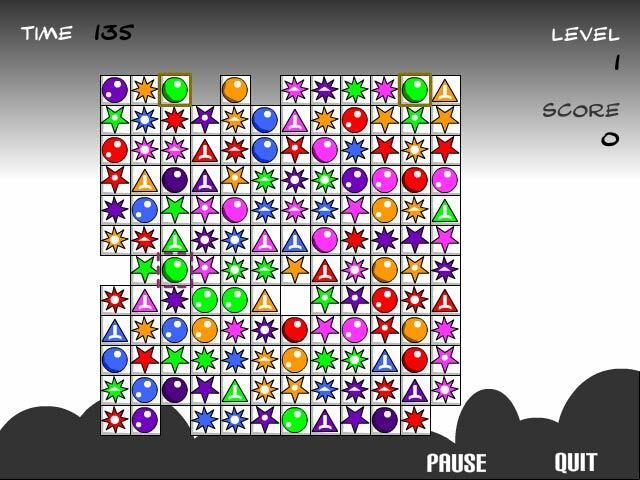 In this innovative matching game, you must clear the board by clicking on 3 identical shapes, one set at a time. Use your mouse to click on 3 shapes. Play at 4 different difficulty levels. 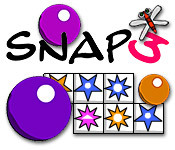 Snap to it and match 3 shapes now – time is running out!